June 8, 2018 at 11:00a.m. Click on the video links below to watch the time-lapse video. Watch this time-lapse video of how Bistro 1907 in the new DoubleTree hotel came to be – in two minutes. 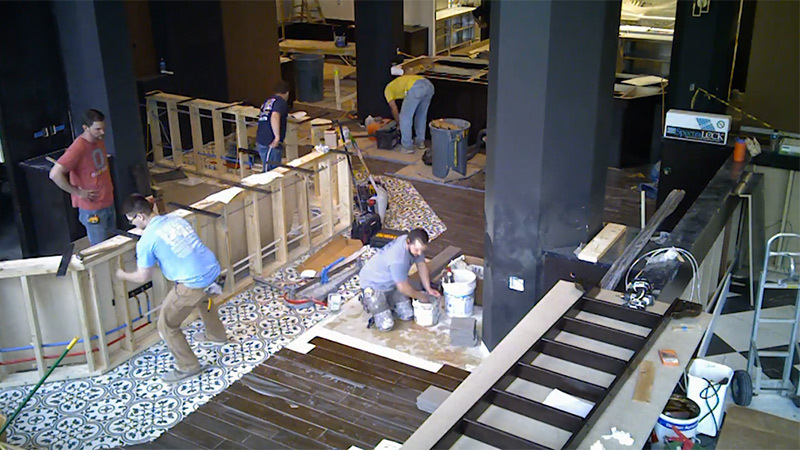 When Bistro 1907 construction ignited in late March, the owners of the restaurant and the new DoubleTree by Hilton hotel allowed The Vindicator to set up a time-lapse camera. The camera was in place for four weeks — capturing a pretty cool glimpse of a restaurant coming to life. In the video, you’ll see the camera got moved a couple times during construction. But every new angle was a cool one. Thanks to owners of Bistro and the hotel for the access, as well as to the construction teams that cared for the camera. Thanks, too, to Rick Deak for the music. Click here to play the video or click on at left.